Andrews McMeel Publishing, 9781449459956, 148pp. 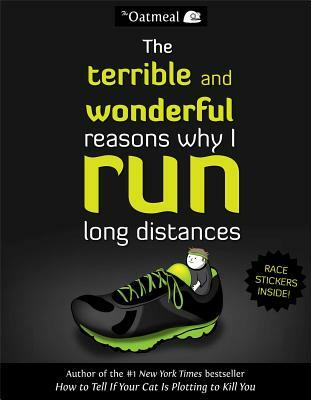 "All runners wonder, at some point or another, why we do what we do. Mr. Inman's explanation is the best I've ever seen. And the funniest. Because he is clinically insane." "He runs. He sweats. He heaves. He hates it. He loves it. He runs so hard his toenails fall off. He asks himself, why? Why do I do this? Here, gorgeously, bravely, hilariously, is Matt's deeply honest answer." "Finally! A voice that sings with the Blerches of angels!" Matthew Inman is the Eisner Award-winning creator of The Oatmeal and the #1 New York Times bestselling author of How to Tell If Your Cat Is Plotting to Kill You. Matthew also co-created the popular Exploding Kittens card game. Since being founded in 2009, his work on TheOatmeal.com has been read by over 300 million people.